"Wouldn't it be cool" is a dangerous game design pitfall that damaged or even sunk many games. Star Citizen being capital example for having so many cool stuff that record-breaking money came from people who wanted to play that awesome game. Except it couldn't be finished. EVE also had its "wouldn't it be cool" moments, most notably with titans, that were meant to be rare vanity awesomeness and were totally unbalanced as mainline ships, despite multiple nerfs. Devs now agree that the game would be better off without them. A game simply needs to pit players against each other or NPCs to test and master a subset of skills. Sports usually test strength, dexterity or endurance. Video games can test hand-eye coordination, logic, planning or even patience. "Wouldn't it be cool" usually inserts an element from another subset of skills that - while looking cool - actually annoying as the players of the game didn't come to this game for that subset. Let me give an example: CCP added the first person view and the ability to turn and pitch the ship with arrow keys. In itself, it's just a "cool feature", since it does not affect the actual gameplay. Now imagine that it would have a meaning: you must pilot your ship that way (without orbit, keep at range or approach) and you can only open fire if the target is within the circle. That would be a standard dogfighting game. Wouldn't it be cool? Sure it would. Would it immediately break EVE? Obviously. The current playerbase is likely not a dogfighting fan, evidenced by the fact that they play EVE and not one of the countless dogfighting games. They would be extremely upset if some dogfighting-experienced kiddie would run circles around them and explode their ships. Since that game would be "learn to dogfight or leave", most would leave. The economy game is just as far from the usual spaceship-EVE as dogfighting and it's absolutely mandatory. You must buy items to have ships and fittings and to have money for that, you must sell stuff you made or looted. When CCP originally designed this spaceship game, they had an idea "wouldn't it be cool to have a huge, laissez-faire economy within the game"? And indeed it's cool, no other MMO has anything like it. And it's totally alien and game-breaking. Why? Because - just like the dogfighting kiddie - someone good with the economy game can run circles and smash anyone playing the spaceship game. I make more ISK than hundreds of ordinary players. Others make even more (the fact that many of them are RMT-ing their income is now irrelevant). As a current event, an economy focused small group, the IWantISK crew smashed the second largest alliance, despite under the protection of the largest one and its coalition. Oh, and who are the top killers of the largest alliance? The protegees of another top-earner: me. Do you seriously claim that either Eep or me could reach anything like that if we'd fly spaceships instead, even if we'd be the very best PvP-ers? Is it fun for me to single-handedly harm the largest coalition more than thousands? Sure! Is it fun for the "thousands"? Not. This is bad design. The problem is that someone being good at the "wouldn't it be cool" feature absolutely dominates those who are only good in the game itself. God knows how many SMA leaving members are leaving the game too, not because they are "butthurt", but because they realized the truth: your ability to spaceship PvP has very little effect on your success in this spaceship PvP game. All these will soon be dwarfed by the most spectacular error of CCP ever: "wouldn't it be cool if players trade would be on player-controlled citadels", which is indeed cool. Except for the part when the owner of New Jita will get more ISK than all ratters combined, therefore winning EVE instantly and forever. It doesn't matter who it will be (likely a PL-Goon cartel), no one else can ever challenge them. Game over! CCP must decide if EVE is a spaceship PvP game or an economy game because it can't be both. Those who like one don't like the other and being forced to play that will only make them quit. Maybe the best move would be seriously nerfing the economy game, which would make many economy-focused players leave, but the spaceship loving majority would celebrate as their actions won't be pointless vanity anymore and would actually matter. Not the group with bigger wallets but the group with better pilots would win. Funnily, citadels allow this to happen: simply make all trades (markets, contracts, direct trade, send ISK, can-looting, boarding ships) alliance-only. You can only set up orders or contracts on alliance-owned citadels or in NPC stations you rented such service and only alliance mates can see those orders. Therefore every alliance would be its own market, so a market-oriented player could only make money at the expense of his alliance mates and price-gouger can be kicked. Inter-alliance trade (which is necessary, as a smaller group can't produce everything from moon materials to Sisters LP) could only be made on one station (Jita), where only CCP bots can make offers and players can merely accept them (like WoW token trade), so all large-scale profits (or losses) would be achieved by CCP and not players. The economy lead dev would also use his CCP pilot to patch-speculate, avoiding players getting trillions from internal info or simply calculating the economy effect of patches, which is a nice skill, but not something worth rewarding by a trillion (approx 10000 hours of Incursion running). Besides this dev-trade the only possible way to get goods from a non-alliance mate should be wrecking and looting his assets with the usual loot rules. While you can't take from a can or board a ship of a non-alliance mate, you can shoot them and loot the wreck. To prevent traders simply move between alliances with their wares, assets and liquid over a limit (like 5B) should be loot-taxed (50% chance to explode, ISK halved). I'll be honest, I enjoyed the broken design very much. I - an economy focused player - could have more effect on EVE than thousands of spaceship PvP-ers or spaceship PvE farmers. I took this for granted and told everyone to "l2p" who complained, ignoring that not wanting to learn the economy is a valid choice for a spaceship PvP game, just like "I don't want to develop high APM". Only with the royally stupid New Jita citadel did I realized that it's broken. EVE should be a spaceship PvP game and not an economy simulator. There will be place for economy-oriented players, but only within alliances running the internal markets and not standing alone, getting more money and having more influence than thousands. Please repost this on Reddit, a dev needs to see it. PS: something tells me that despite I'd have much less influence in this EVE, I'd have more fun managing the 5ZXX rented market for MoA, playing and interacting with them than making awful lot of ISK alone and then send them without actually meeting any of them. Currently this is the optimal way, so this is what I do. But it shouldn't be. Would you still play it if it was not an economy game ? Your problem is the assumption that it cannot be both - you are establishing a false dichotomy. Eve is, and always has been, a space economy simulation which uses conflict to drive that economy. Take PVP away, the economy collapses. This is the central premise on which the game has been built since the very first day. There are other ways to limit the damage of citadel trading. Just forbid highsec citadels, or double their vulnerability windows, for example. Not even a pan-nullsec alliance defend a highsec citadel 23/7. @Vincent: there is economy in every game where players can trade. I'm saying EVE shouldn't be a PURE economy game where nothing else matters. @Anon: it can't be both. One will take precedence and the other will become pure vanity or "for fun". 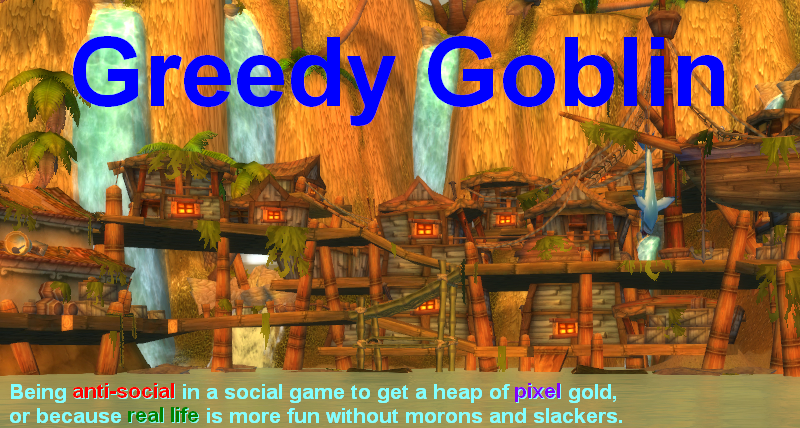 Just like WoW is a raiding game where you can PvP for fun but it doesn't matter in the grand scheme of things. EVE is a pure economy game where people can PvP in ships when drunk. @Last anon: yes they can. They merely have to include more groups into their cartel and take turns. 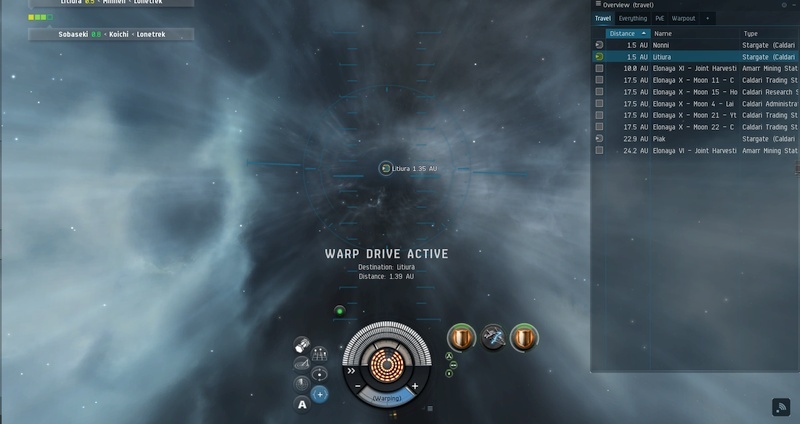 The citadel guns in highsec where you can't send dreads can handle a fleet up to 100. How many alliances can field 100 men regularly? 5? 10? The cartel will include them all and then a single guy on gun duty will handle the rest of EVE (the 90% of players). From that point the 90% will pay 20T/month to the 10% without the latter even logging in. I don't think a market is anything in the same category of "cool idea" that the first person view is. Its a cool idea. It can be exploited. It does not break the game play of the game. However, the 'cool idea' of giving players control and access to brokers fees goes beyond the uselessness of first person view. I'm all for free market economies in real life, but insider trading is still illegal in many countries involved in free market economies and for a good reason. I've toyed with the idea of creating a high sec corp to kill any attempt to replace Jita, but the fact is: any organized group that attempts to do so will find themselves counter decced by every major high sec war deccer such as marmite. Even if the group running the replacement for Jita Citadel fails to make a profit from paying off groups to defend them or not dec them, they will exhaust the hope of removing the group easing pressure to pay off the mercs and turning the profit you predict. To combat the massive passive income you are highlighting, what about making each market nexus more specialized than they are now? Instead of increasing the taxes across the board for all NPC stations, why not do so in a targeted way: so for example, all caldari T1 ships sold in Jita would keep their current taxes, while all the other items would see the increases currently planned by CCP. Amarr would specialize in all Amarrian T1 ships sales, and so on. Each citadel could then have only a small number of items that would be sold there for the benefit CCP currently envision for the citadel owners, while all other items sold there would not benefit the citadel owner in the same amounts. This way each Citadel owner would only passively benefit from a handful of product per citadel, and some kind of regional tax regulation would help maintain the need for aggressive removal of competing citadels. Wouldn't this help diminish the return of passive incomes from market transactions while participating to the diversity of each regions, and adding conflict drivers? A larger scale consequence of the minor comment. Due to this tech limitation, a game about large scale space battles cannot be a dogfighting-PvP game. It needs to be a game about war and grand strategy (the definition of "grand strategy" being a fusion of actual space war with military industry). At the moment, there is no way to directly attack the military-industrial backbone of massive fleets. You can sort of attack sov, but not with any degree of efficiency (definitely not comparable to, say, airstrikes on factories). You can sort of attack supply routes, but i also don't hear many news of people catching JFs. And there is almost no way to compete in the technology race against someone who has the BPO's of high tier stuff and simply sunk more resources in R&D. In short, Eve lacks wild cards that would upset the dominance of someone with established M&I complex. Entosis was a step in the right direction, but is both inefficient and boring. I think introducing more different and interesting tools for the little guys to screw with the big guys would be both a cool thing to do and good for the game. I disagree with your premise that Eve should not be an economy game. The balance between creation and destruction, risk and reward has been a central theme since the beginning. If CCP were forced to choose, they would be wise to make it an economic simulation. There are lots of combat simulations on the market but the Eve economy is unique. Personally I think the new brokerage & tax formulas will hurt the big traders more than small industrialists. Small players tend to be vertically integrated with substantially better margins. Either way, I would wait to see how CCP handles the risk reward balance for the new lab and manufacturing structures expected later this year before deciding if the game is broken. "It can be exploited. It does not break the game play of the game." It does though. The economy aspect in EVE is not like the typical game features where everybody can have access, with a little effort. This is how entire markets can be cornered by one savvy individual, or why monopolies exist. In other MMOs, you can make serious cash by farming resources, killing monsters, finding cool loot, AND playing the AH, so your money making is reinforced by doing game-related activities. In EVE doing game-related activities is suboptimal, because it makes you poorer, not richer. In effect, the way the economy is built currently makes the gameplay irrelevant. Gevlon is a good example. He probably leaves the station once a week and participates in actual spaceship gameplay even less often. And yet has enough resources to fund entire alliances in their war against his/their enemies. I think you're right in that a spaceship pvp game and an economy game would have trouble co-existing. Fortunately eve isn't a spaceship pvp game (and never has been). It's a politics game that uses a spaceship pvp game as part of the political landscape. I mean, if eve was trying to be a spaceship pvp game, why would it be so hard to find fights? World of Tanks is a pvp game and it has no trouble finding fights (just queue up). In fact, it would be pretty easy to make a pvp game from eve's spaceship combat. Just assign ships a point score like in the Alliance Tourney and randomly generate teams of equal points and throw them together. It might even be fun, but it would be nothing like eve. Don't forget that the IWI/SMA war didn't happen because of the economy, sure IWI's massive wallet enabled it, but it wasn't the cause. It happened because of politics, because IWI was scammed by SMA and wanted revenge. Don't forget that the fact that anyone was willing to take IWI's money to actually fight was political. If TISHU/PL/TEST didn't hate SMA they could have easily worked with SMA to scam IWI out of his money. Just stage some cheap fights, pretend to take sov, then split the pot and laugh all the way to the bank. I think that such a meaningful economy would conflict with a spaceship pvp game, like world of tanks in space, but the political game and the economy game go hand in hand. After all, the imperium is an economic engine as well as a political one. They provide a service (space, fleets, military organization, moon materials, etc) and get paid in return. Just like IWI provides a service (a casino) and gets paid in return. You can argue that it's unbalanced that a casino can make so much profit, but that's a pretty minor balance issue that CCP could fix (by adding more in game casinos maybe?). It's not an existential threat to the spaceship politics game we currently have. After all, economic war is just politics by other means. One way to make it more feasible for the small guys sticking it to the big industrialists would be to provide a way for them to disrupt supply lines. Siphons are a step in the right direction. However, Jump Freighters make supply line logistics nearly immune to disruption. Building spaceships in your POS, but need a component you can't make locally? No problem, JF over to Amarr, buy your stuff on the market, JF back to your POS, build ships, JF to Amarr, sell ships, etc. There is really very little risk involved. During WWII, the Allies lost a huge amount of merchant traffic across the Atlantic. A "cloaky" U-boat could pop up and blow up a ship transporting goods for the war effort. Like someone else noted, Allied squadrons would fly over Axis airspace to destroy shipyards, factories, and airfields. These actions are done not by "capitals", but by lone wolves or small groups with a very narrow target. I don't know if this is possible now, but it would be great if that cloaky camper in your enemy's system had the ability to warp to an enemy POS, uncloak, and scan the hangars and assembly arrays for intelligence. What's being stored? What's being built? This, with the capability of having a method of supply-line disruption, would add more risk to the military-industrialists, and force them to reconsider how to actively defend strategic routes. Or perhaps a mechanic where a stargate or jump bridge could be entosised to disable them to some amount of time (akin to blowing up a railroad bridge) based on ADM, or otherwise prevent JFs from resupply. I can't imagine you updating market orders almost daily consider as fun. Having impact, sure. Driven by idea, ok. But changing isk values everyday for hundreds of orders? Even if you only spend 1 hour I'm still amazed you didn't get fed up by it. @Zosius: I can't imagine anyone having fun roaming. No point, the chance of a meaningful kill is smaller than someone selling a PLEX to you for 1130 ISK and no risk as your ship is already considered lost. Oh and comms are full of drunken tards.